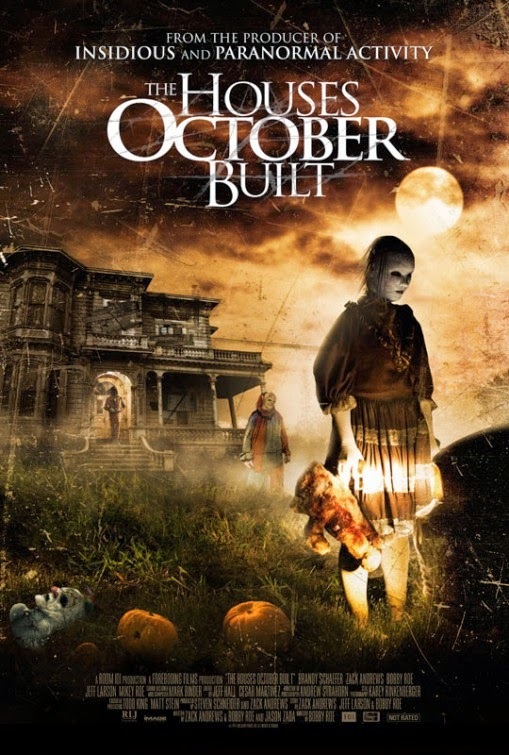 Okay, so I caught a new movie a couple of days ago -- a little found footage flick called THE HOUSES OCTOBER BUILT. I knew once I read what it was about that I absolutely had to watch it. 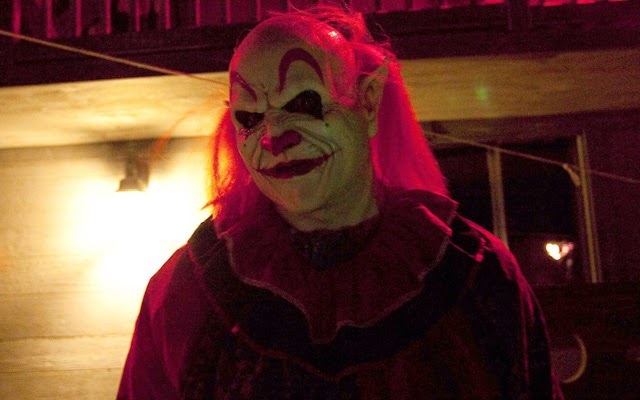 For those of you that know me, know that I worked at a haunted attraction here in Indianapolis for the better part of a decade, so THE HOUSES OCTOBER BUILT just felt like it was right up my alley. And it was. Although I'm growing numb of found footage horror movies, this one used the gimmick in an effective way, much like THE BLAIR WITCH PROJECT. This group of people are using it document their journey to find the most extreme haunted house they can. And the things they film along the way are truly the stuff of nightmares. I found this movie even more interesting considering that I also run a haunt review site (hauntedhouseindy.com). Many of the scare actors in the film take their scares to the next level -- whether that be following the group to their RV, or isolating one guy while he takes a piss in the woods. Grounded in extreme reality, this film just keeps on delivering the goods, frame after frame. The group eventually finds what they've been looking for, an underground haunt called "The Blue Skeleton" -- or, it finds them, actually. Things gets more real than they could have ever imagined. I highly recommend THE HOUSES OCTOBER BUILT, especially if you're a fan of Halloween and all things spooky...and especially haunted houses. The film is available now on VOD.